Realistic, Train Simulation and Engineer Training scenarios in actual locations and can be run in hazardous situations or recreated for student learning – all without risk of person or property. 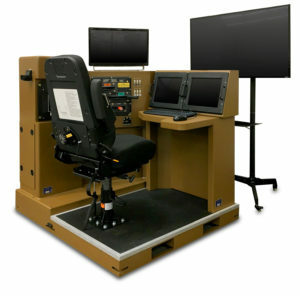 PST has full size simulators with haptics as well as desktop simulators. Train and recertify your locomotive engineers using a state-of-the-art Class II train simulator. We use 3D graphics coupled with a physics engine that has been independently validated against the industry standard TOES program. Control which scenario to present to the trainee, monitor and inject events as required. 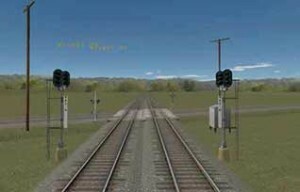 Enhance the reality of your simulation using your railroad’s data and actual topology. Additionally, customize the route from a library of over 2000 elements. All the process. None of the danger. 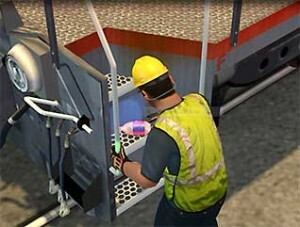 All conductor simulation tasks are integrated with safety rules and procedures. Trainees are given immediate feedback as well as an overall score for making names, completing tasks, performance to standards, and safely within the operating rules and procedures of your railroad. 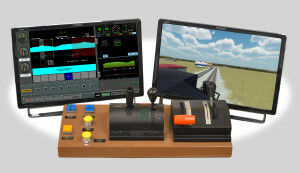 Train simulation and Positive Train Control training and scoring right at your fingertips. It Just Keeps Getting Easier. 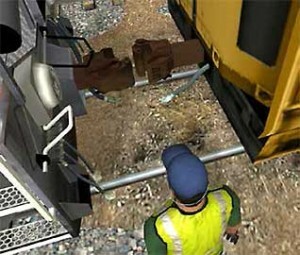 Simulate a realistic environment to refresh skills and train new operators without tying up equipment and yard tracks. Scenarios available include start-up/shut-down procedures, flat yard switching, building trains, breaking down trains, industry spots, hump yard operation, and hazardous materials handling. 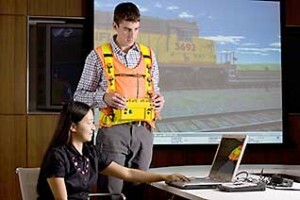 We customize the simulation to match the rules and safety regulations specific to your railroad’s operating procedures. Situations and requirements can be modeled to your specifications – even your specific location(s) for a further level of familiarization. Keep Your Library Looking Fresh. Nothing is as distracting to a safety lesson as outdated visual content. It sabotages the gravity of the safety messages. The AvatarTraining Video platform provides a consistent, modern, and relevant platform to translate important safety procedures. This updated platform also allows you to represent dangerous or unsafe activities which provides a powerful training tool and attention grabbing technique. Change in your workflow or requirements? The videos can be updated for a fraction of the cost of traditional videos.